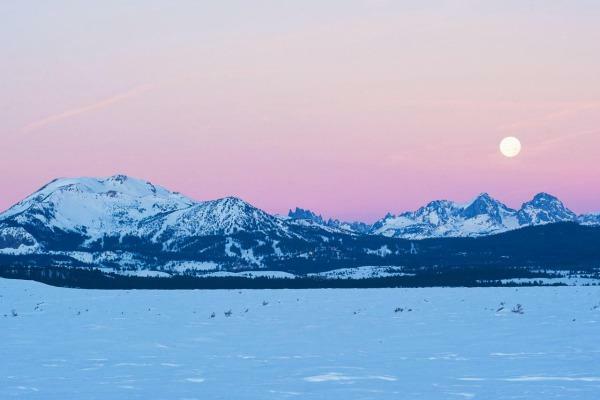 Just south of Yosemite National Park in California lies Mammoth Mountain: A colossal mountain with the greatest consistent snowfall of any North American resort - an annual 32ft of powder snow. At over 11,000 feet Mammoth hogs the snow and does not give it up until most of us are hunting out the string bikini and slapping on the factor 15. 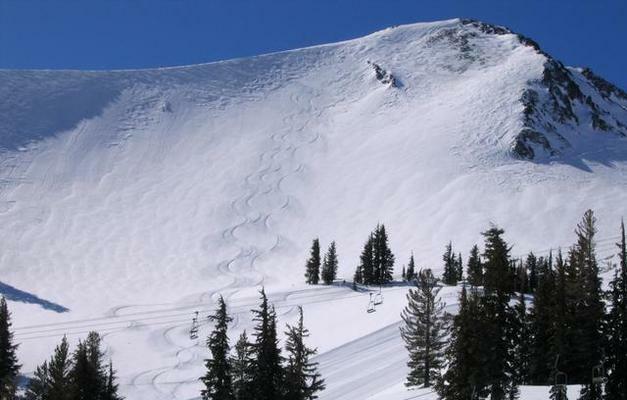 Skiers and boarders will happily lose themselves in the 3500+ acres of trails, parks and pipes. 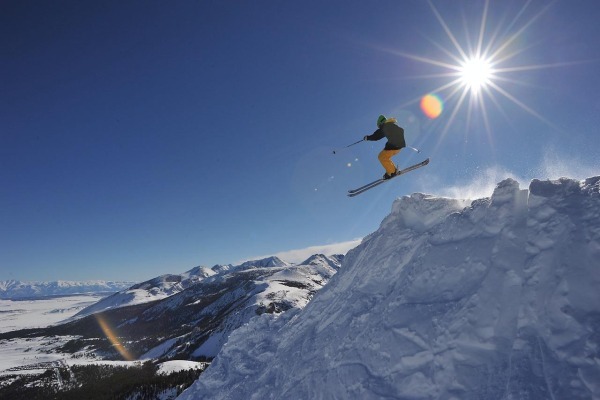 The mountain offers brilliant on and off-piste skiing/boarding for all levels. The summit veritably sparkles with double diamonds; couloirs and chutes which open out into vast bowls of "ski and ride anywhere you please" steeps and deeps. At the other extreme is one of "Ski Magazines" top 10 North American ski and board schools with an innovative learn to ski/ride programme. The mountain and town also offer a variety of very good restaurants and plenty of other activities for non-skiers. You also have June Mountain 30 minutes away - smaller and more intimate than Mammoth, yet a gem of a resort in its own right boasting unsurpassed views over the lakes below. This makes a good trip at weekends when Mammoth tends to get busier from its Los Angeles clientele and queues can build up. 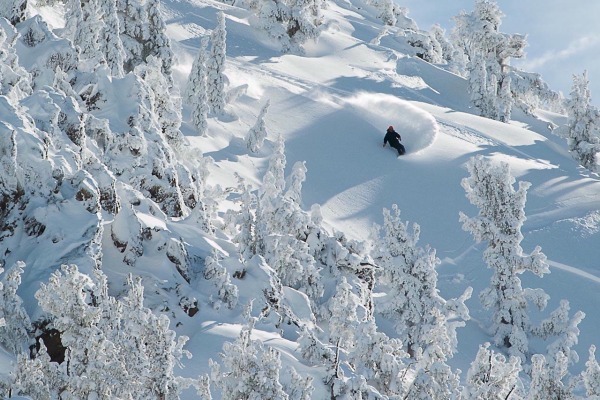 In partnership with the Canadian resort development company Intrawest, of Whistler-Blackcomb fame, Mammoth continues to enjoy constant improvements in its infrastructure. The new Village at Mammoth is located between the town and the mountain this complex helps eradicate the previous criticism that Mammoth is fragmented and lacking in atmosphere. The village, with a wide range of shopping and restaurants combines luxurious mountain lodging with direct mountain accessibility via the new Village. There are other criticisms levelled towards the resort - such as the weather, particularly wind, that can close parts of the resort and the 5-6 hour transfer time from LA (a LA-Mammoth daily air-link is under discussion) but these are minor when balanced against Mammoth's indisputable strengths. It is constantly being upgraded, as befits a resort that wants to keep its already impressive standards.